Deloitte in Australia is now using digital gaming technology as a part of its recruitment process. EY has removed all degree classification from its recruitment criteria. Many organisations are placing less importance on university degrees and more importance on diversity of hires. The recruitment shake-up in the Australian accounting world has been a long time coming. Here we look into the changes, and what they could mean for the future of the industry. An entire generation has been brought up in a digital world with all of its various forms of technology as an integral part of their lives. It is against this backdrop that Deloitte in Australia recently announced that a fully interactive, game-based assessment experience will become a part of its recruitment process. The technology is a far cry from Space Invaders and Pac-Man. The ‘games’, developed in partnership with assessment company Talegent, put the applicant into real-world scenarios likely to be faced in the Deloitte offices. It offers insight, for the applicant, into the types of challenges they might be expected to face in the organisation and in the specific role. It also feeds data back to Deloitte on the applicant’s skills and personality type. The recruitment technology is also a far cry from the traditional ‘milk run’, when top accounting firms conduct annual roadshows on university campuses, inviting potential recruits in for drinks before setting up face-to-face interviews. The new systems will likely make an enormous difference to the future of accounting recruitment. According to GradAustralia, Deloitte is the nation’s second largest graduate employer (after Google), and the largest graduate employer in the field of accountancy and financial management. The new recruitment system has already been in use for several months, but Deloitte is not the only employer changing their processes. EY has very publicly decried the notion that an accounting or commerce degree is required to join the company’s ranks. “We're interested in talented students and graduates from many disciplines including law, engineering, science, information systems, actuarial studies, environmental studies, economics, business, psychology, maths and human resources (and, of course, accounting and commerce),” a report on the company’s website states. Late last year EY in the UK also removed all degree classification from its entry criteria, with Managing Partner for Talent, Maggie Stilwell, saying EY was “modernising the workplace, challenging traditional thinking and ways of doing things. And actually this all fits in very comfortably with the argument accountants have long been making that they’re not just number crunchers. Advanced accounting management is more about being a business adviser. It is around understanding far more than just the numbers. It is about business acumen and insight, and the ability to recognise threats, opportunities and trends. The pattern of placing less importance on certain academic achievements is being repeated internationally, with PwC in the UK announcing mid last year that it would ditch A-level results from the process of recruiting graduates because they give independent school pupils an unfair advantage. It has spread across other industries too, as a broader push for diversity takes priority. Publishing group Penguin Random House, for instance, announced early in 2016 that new recruits would no longer require a university degree. Their HR director said the decision was a result of an increasing body of evidence proving that there is no correlation between having a degree and professional success. Back in the world of accounting, it is obvious that its inhabitants will always require specific knowledge, training and skills. But the environment in which they work is finally being recognised as one that requires diversity, breadth of experience, innovative approaches and different personality types. That can only be good for everybody. 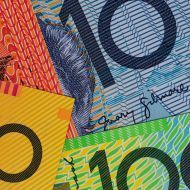 What's happening with accounting salaries in Australia?